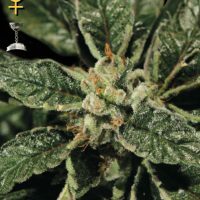 Santa Sativa female Seeds produce a cannabis plant with Photoperiod genetics and a flowering time of 9-10 Weeks. 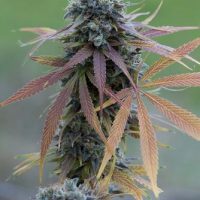 Santa Sativa female Seeds has a genetic makeup of Haze x (Northern Lights x Skunk) and would make an excellent addition to anyones seed collection. 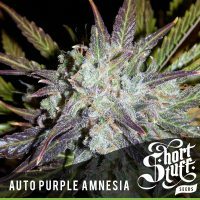 Buy Dinafem Santa Sativa female Seeds at the lowest price online now! MobyDick’s sativa cousin Santa Sativa is equally demanding in terms of light and nutrient requirements but has a better quality effect than its cousin. It needs lots of zinc, iron, nitrogen, magnesium and a pH under 6.3, to avoid iron or zinc deficiencies. Well aired and warm soil is fundamental to avoid this kind of problem. It grows vigorously and quickly and needs quite a lot of space to grow properly. 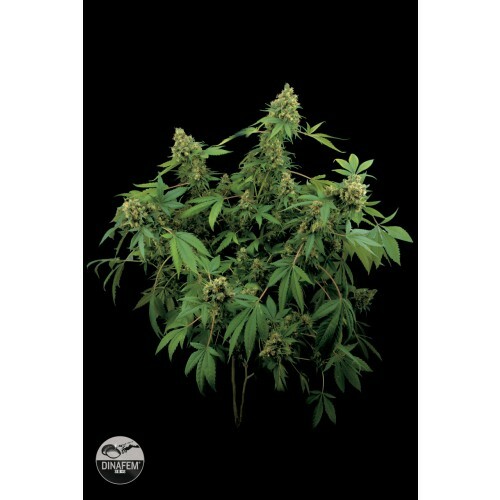 It adapts very well to SCROG and can easily be bent outdoors to limit its height. 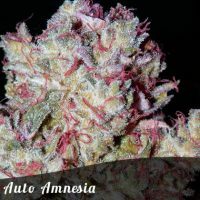 Predominant scents include wood and pine with a touch of spices, giving a strong smell after it has been cured; the THC level is very high, giving a strong and clear effect with a gentle somewhat physical comedown. It is extremely potent.